Car Troubles central premise is that the car as the dominant mode of travel needs to be problematized. 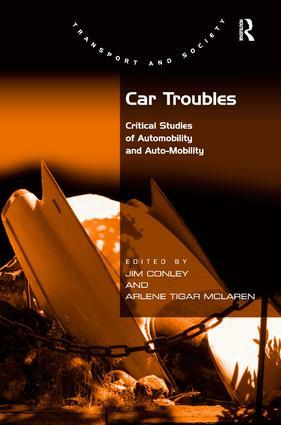 It examines a wide range of issues that are central to automobility by situating it within social, economic, and political contexts, and by combining social theory, specific case studies and policy-oriented analysis. With an international team of contributors the book provides a coherent and comprehensive analysis of the global phenomenon of automobility from the Anglo world to the cases in China and Chile and all the elements that relate to it. Jim Conley is an Associate Professor in the Department of Sociology at Trent University, Peterborough, Canada. Arlene Tigar McLaren is Professor Emerita in the Department of Sociology and Anthropology at Simon Fraser University, Burnaby, Canada.